So what's the difference between this and the default 2K scoreboard? 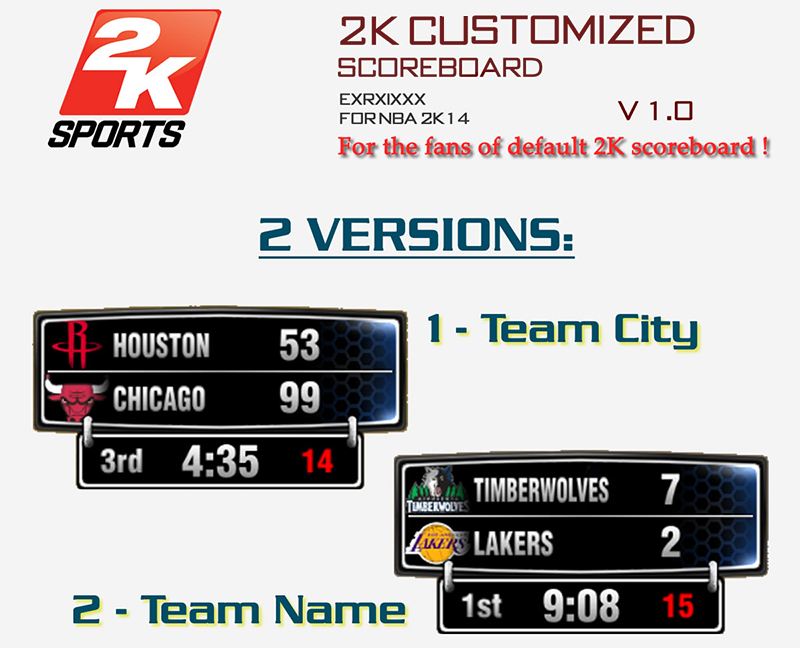 The default NBA 2K14 scoreboard uses 3 letter name abbreviations, while with this customized scoreboard you can either use the version 1 which displays the team city or the version 2 if you want the team name to appear. 3. Copy the newscorebug to main NBA 2K14 folder. 4. Overwrite/replace the existing file. 5. Done! Have fun playing NBA 2K14 with a new scoreboard.